My 16th "Where Are You Now, Campus Radical?" profile looks at Roger Tobin, the deputy principal of Logan Park High School in Dunedin. Anybody who went to Otago Uni in the late 70s or Victoria in the early '80s would probably remember Roger Tobin. At Otago, Tobin along with Brian O'Brien and Chris Trotter, was one of the leading activists on campus. In 1978, Tobin was OUSA Research and Action officer. He was also president of Otago's Labour Club and a member of the Labour Party. It was common for campus Maoists to work through Labour in those days. In fact it was standard practice. There is some evidence that Tobin was doing just that. By 1980 Tobin was in Wellington studying for an MSc in maths and serving as Victoria University Students Association International Affairs officer. VUWSA at the time was completely dominated by the Maoists of the newly founded Workers Communist League. The International Affairs officer position was considered particularly important by the Maoists and almost always went to a "comrade". Tobin worked mainly on Apartheid, South Pacific, Palestinian and Filipino issues. The newspaper "Truth" of 25.11.80 described Tobin as "closely identified with the WCL". From 1981 to 1983, Tobin served as vice president of the NZ university Students Association. The NZUSA was also riddled with Maoists, especially in 1982 when they held virtually every position. In 1983 NZUSA officials, Paulette Keating, Robin Arthur and Roger Tobin were described as WCL members or sympathisers in an article in Otago student paper Critic Vol 59 No 7. 1981 was a very busy year for Tobin. He dedicated himself to stopping the Springbok rugby tour of NZ as a member of the Citizens Opposed to the Springbok Tour organisation. Tobin was a COST marshall alongside such WCL members as Alick Shaw, Dave Macpherson, Simon Wilson, Christine Gillespie, Martha Coleman and Ron Smith. Tobin was a marshall leading demonstrators in the famous "Battle of Molesworth St", one of the bloodiest skirmishes of the entire campaign. He was also a member of the COST Legal Aid Committee in charge of fund-raising for those appearing in court cases, a job that continued well into 1982. Tobin also particapated in CANWAR's anti nuclear warships campaign. He addressed an Anti USS Truxton rally in Wellington on June 10th 1982 in his capacity as NZUSA vice president. The same year, Tobin was also a contact for Wellington CND. Tobin's view of peace activism was little unusual as the same year he interviewed Ali Kazak, director of the Palestine Liberation Organisation's office in Australia. After teacher training in 1984, Tobin returned to Dunedin to teach at Logan Park High School. He wasn't quiet for long, soon organising opposition to the proposed 1985 All Black tour of South Africa. Tobin was co-ordinator for Otago Coalition Against the Tour and organised several protests, marches and occupations. Several CATT leaders had WCL links, including Tobin's old comrade from Victoria University, Campbell Duignan. 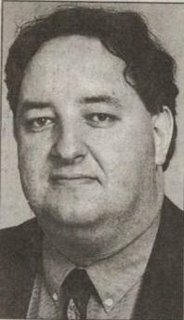 By 1989 Tobin was active in union affairs as chairman of the Otago Post Primary Teachers Association and president of the Otago District Council of the Council of Trade Unions. He was also on the PPTA national executive and a member of its review group, charged with restructuring the union to cope with changes under "Tomorrows Schools." In 1991 Tobin was active in Dunedin protests against the introduction of the Employment Contracts Act. From 1993 to 1995 Tobin was national president of the PPTA and later served as vice president. He was a militant opponent of many of the National government's proposed secondary education reforms of the period. Since then Tobin has remained a highly influential but lower profile activist within the union. He re-surfaced briefly in 2005 to defend a former teacher and PPTA colleague, David Benson-Pope. "I hope the truth comes out. If he did use inappropriate discipline techniques then that should be dealt with. But I just hope that people remember how vigorous teachers were expected to be in the 1970s in terms of their dealings with students."